Welcome to Day 23 of my #100DaysofBulletJournalIdeas Project! The Currently Log is an idea I got from scrapbooking, which is funny considering the fact that I haven't ever actually scrapbooked all that much, but when I looked into it a few years ago, this is one of the ideas that caught my attention. I eventually realized that it would be a sweet idea to add to my Bullet Journal as a way to take a snapshot of my life as it, well, currently is. The way it works is that you consider a few different things that are 'current' in your life. This way you can pause time by reflecting on the things that you are into right now, which will be awesome to look back on in the future! A Currently Log from today! 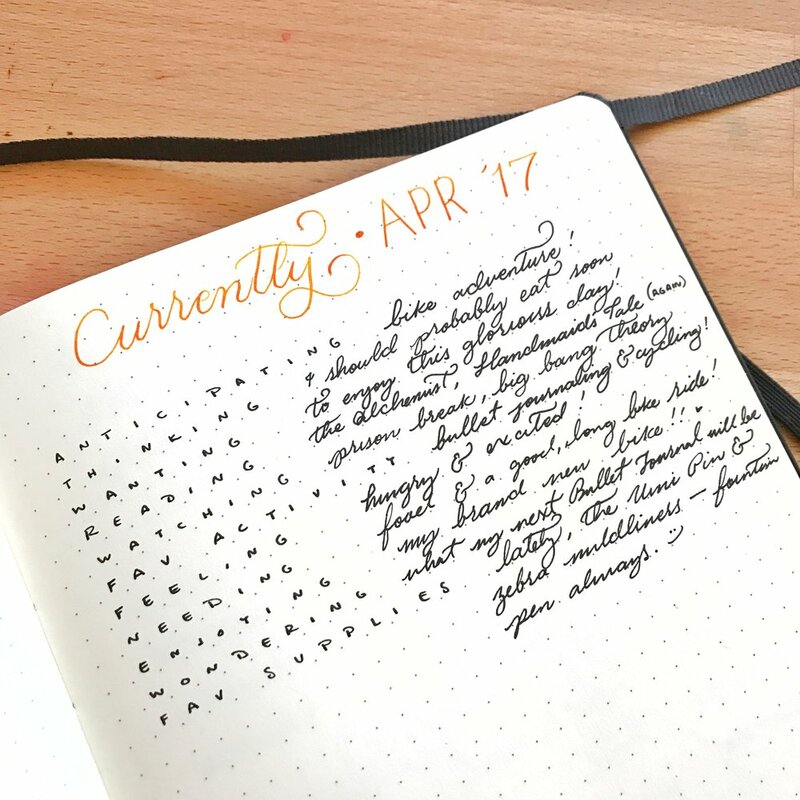 Adding a Currently Log to your Bullet Journal acts a snapshot of your life as it currently is. I'm sure that when I look back on these, I'll feel all the feelings and memories I did at the time. You can choose any number of things, here are some ideas!